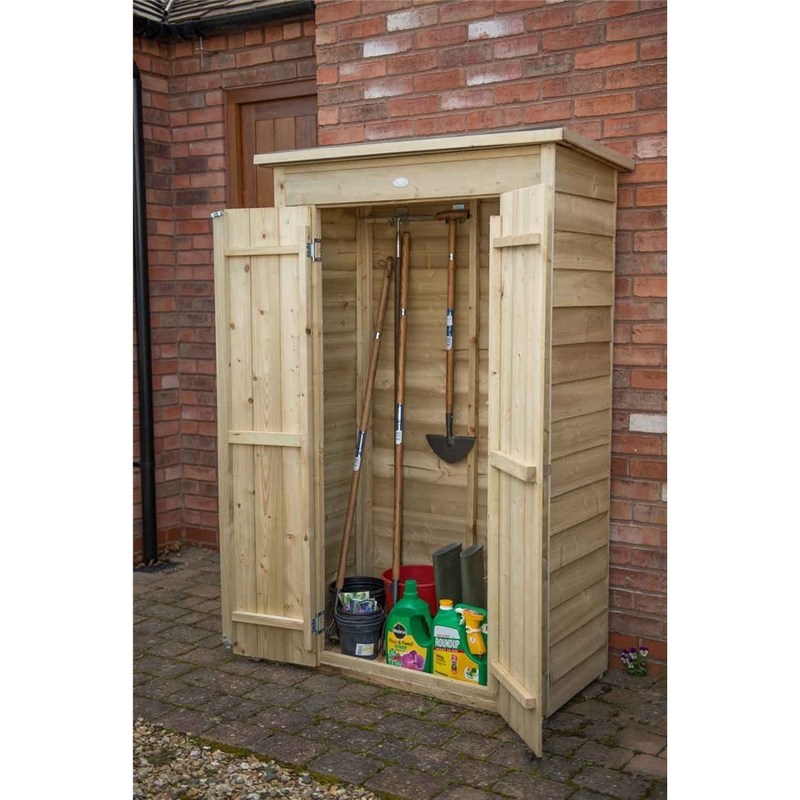 This tall garden store is perfect for positioning against a wall or fence and with a roof height of just under six foot it is perfect for storing away your gardening equipment such as long handled gardening tools, folding furniture and children's toys. 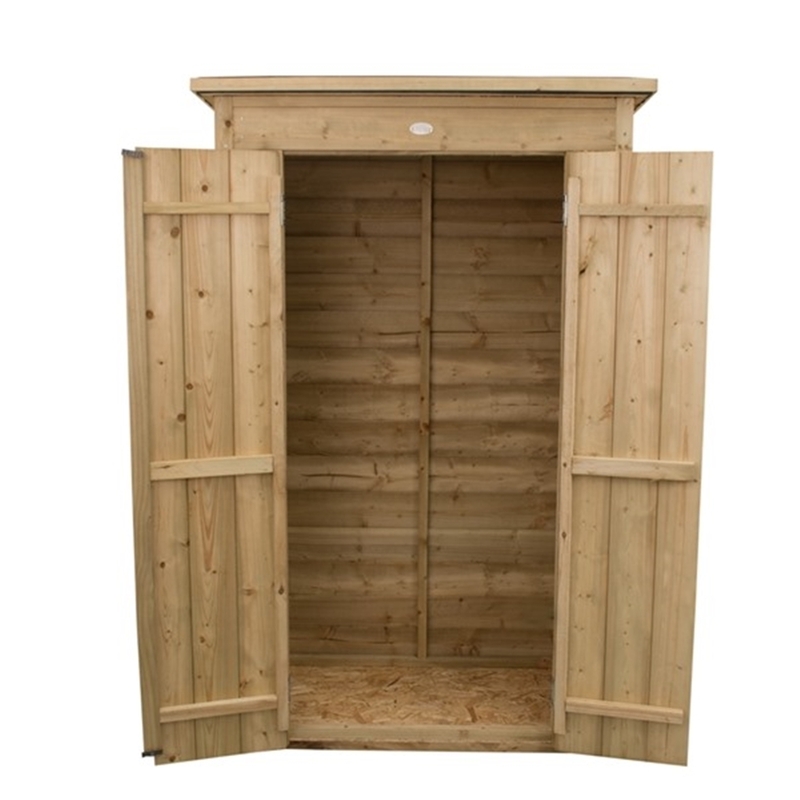 The pressure treated garden store has a small footprint and a natural colour finish meaning that it will blend attractively into your garden or you can paint it a colour of your choice and make it stand out feature. The felted pent roof keeps the garden store weatherproof and can be assembled to slope back or forwards. The product is mounted on pressure treated bearers to keep it off of the ground and dry. 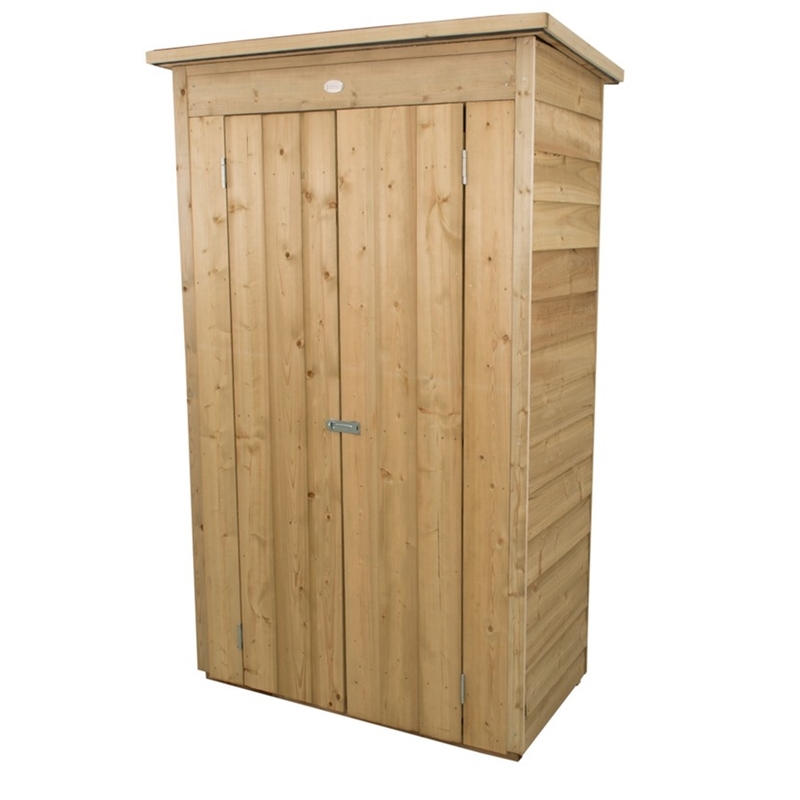 The outdoor storage unit has double doors which can be closed using the plate hasp and staple fastening which can be secured with the addition of a padlock.